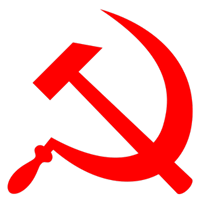 The CPI(M) strongly condemns the murderous attacks on dalits in Saharanpur which has resulted in a dalit youth being killed and many seriously injured. Certain upper caste elements sporting the colours of the Hindu Yuva Vahini launched these attacks on people returning from a meeting addressed by BSP leader Mayawati. These attacks have come in the wake of the earlier assaults on dalits in Shabbirpur in which houses were burnt, property destroyed and many persons injured. The steady deterioration in the situation is a result of the support the upper caste perpetrators of violence are receiving from the state government and the lack of will displayed by the administration for taking action against them. The CPI(M) demands firm action against all those involved in the atrocities against the dalits. The administration has to provide full protection to the vulnerable people. Adequate compensation must be paid to those who have suffered losses. The administration must withdraw false cases implicating dalits and their leaders. The UP government must give up its partisan stance and ensure that the rule of law prevails in Saharanpur district.